We hope you are enjoying the dry and occasionally sunny weather! Perfect for a walk in the many beautiful parks and commons which are looking especially spectacular at the moment. Tomorrow (Weds 30th April) we will be holding our latest Meet Up / Coffee morning at Cupcake Café. This is a great chance for you to meet other New Baby Company clients who are either expectant or new mums and could live round the corner from you! Vicki will also be there to informally answer any questions you may have about your baby or bump, or just for a chat over a cup of tea. 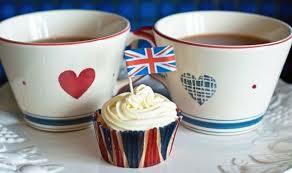 The Meet Up will run from 12.00 – 14.00 at Cupcake Café, 11 Heathmans Road, London SW6 4TJ. Looking forward to seeing some of you tomorrow!